A skin-balancing daily moisturizer based on a unique pro-collagen complex naturally derived from Blackberry Leaf Extract. Rich in Biotin and Hyaluronic Acid, this innovative emollient helps to enhance elasticity, reduce redness, decrease wrinkle depth and provide up to 24-hour moisturization – proven to increase skin hydration by over 50% after 2 hours. 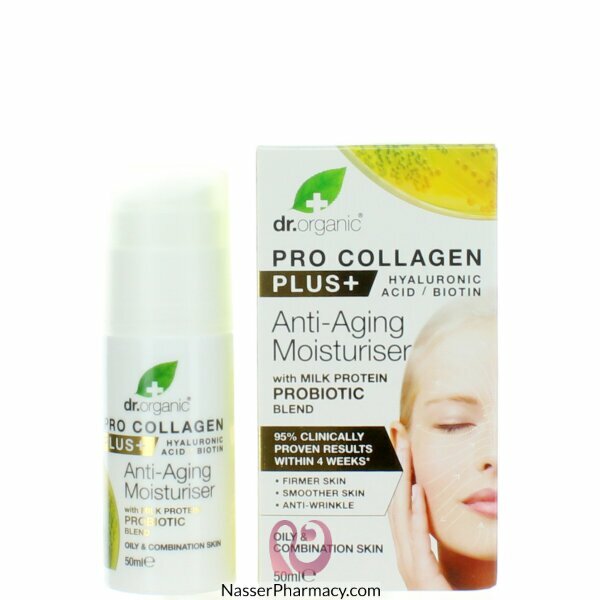 In combination with the pro-collagen complex is a milk protein Probiotic Blend. These advanced probiotics help to calm skin, reduce irritation and provide a healthy glow, while completely revitalizing the skin’s epidermal layer. Feel your skin balanced and protected against environmental stress and damage. Suitable for vegetarians.